The little cousin was into narwhals. 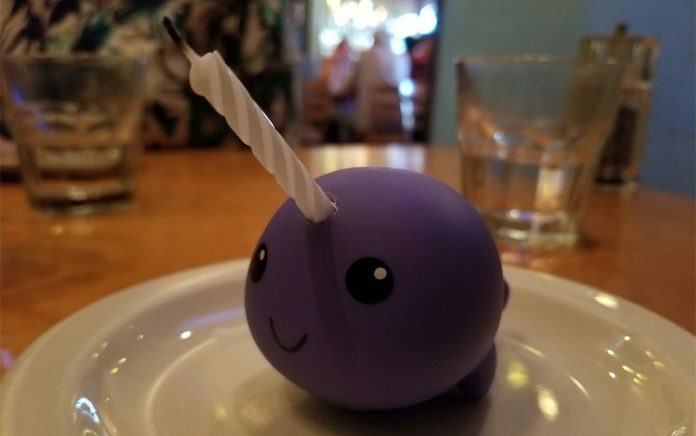 Narwhals aren’t a normal buy at the store. Even online shops didn’t have much in the narwhal world. For her birthday, we hunted down a whale figurine, drilled a hole in its head and stuck in a candle. Yes, and then sung happy birthday. We found the whale at Walmart or the dollar store. I can’t remember.